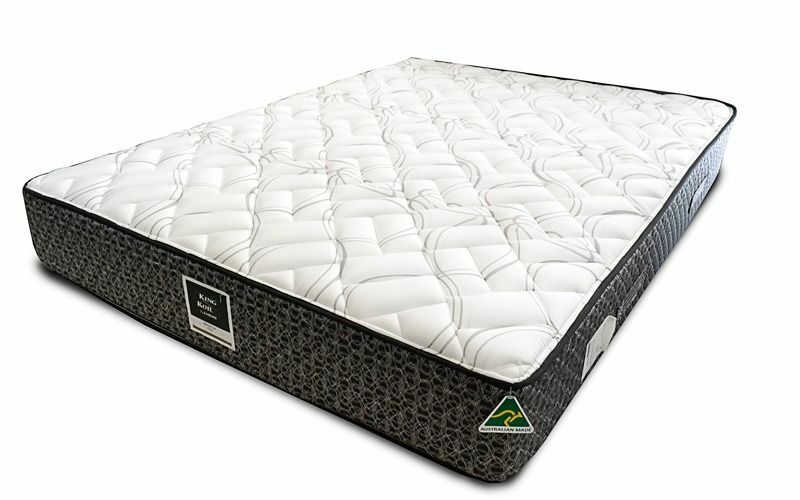 The Australian made symbol gives you the tick of approval to excellent quality and long-lasting results. 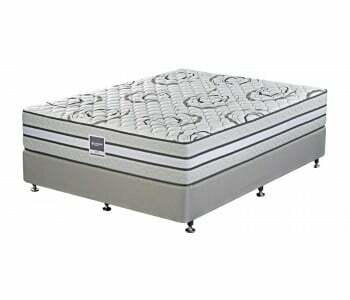 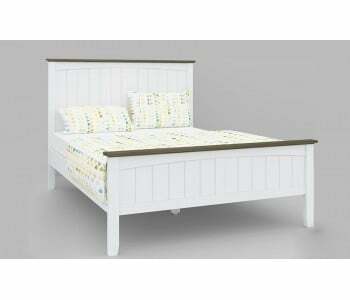 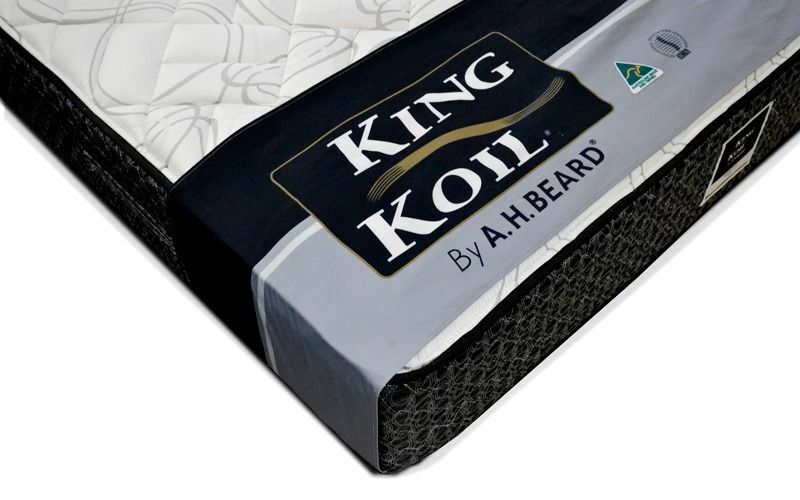 King Koil by A.H.Beard is Australia's premier manufacturer of quality, hand-crafted mattresses and bedding. 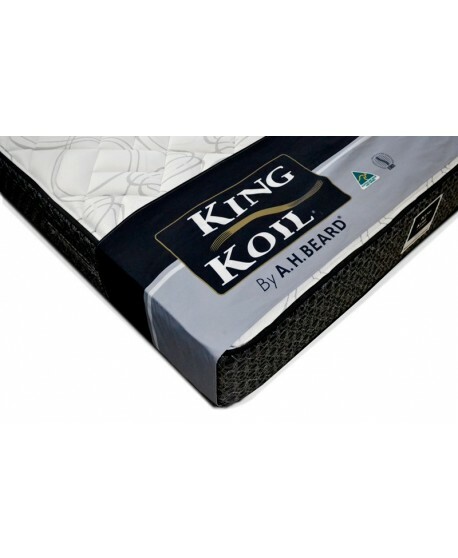 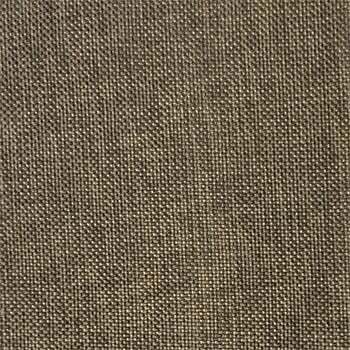 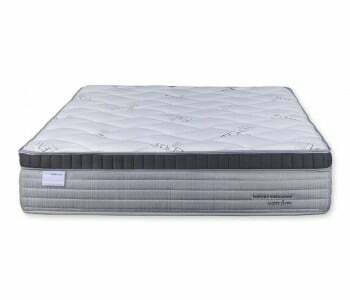 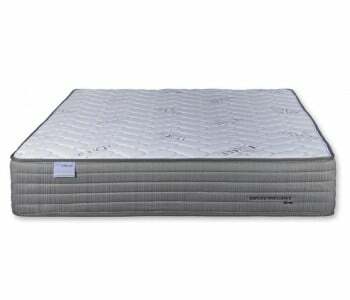 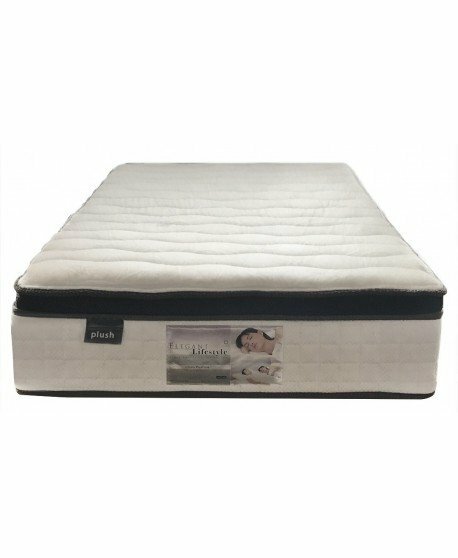 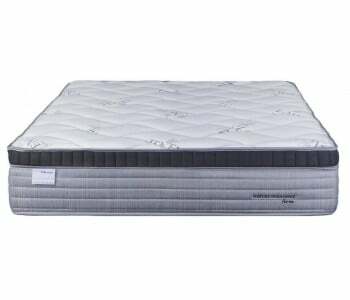 King Koil Brighton Firm Mattress has a breathable Stretch Knit Fabric and an AeroComfort AeroQuilt that is more breathable than fibre and more resistant to body impressions. 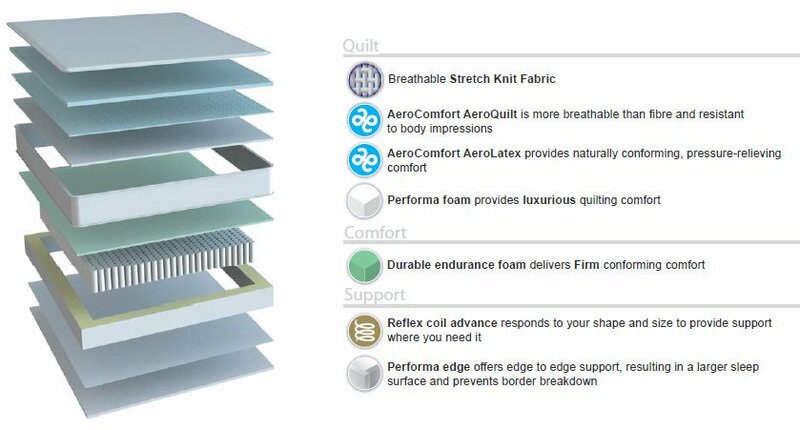 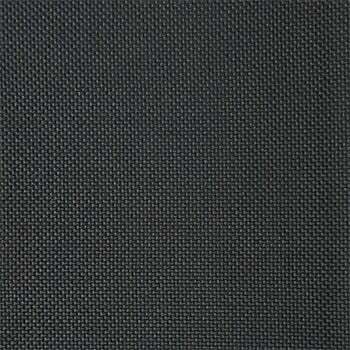 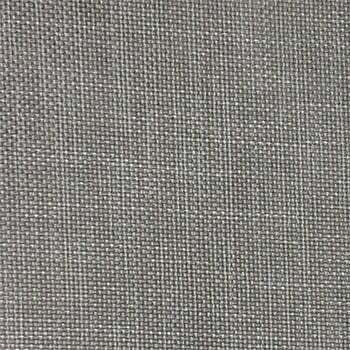 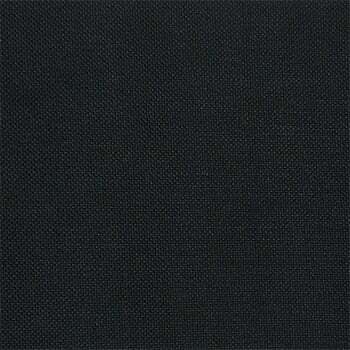 AeroComfort AeroLatex and Performa foam provide naturally conforming, pressure-relieving comfort. 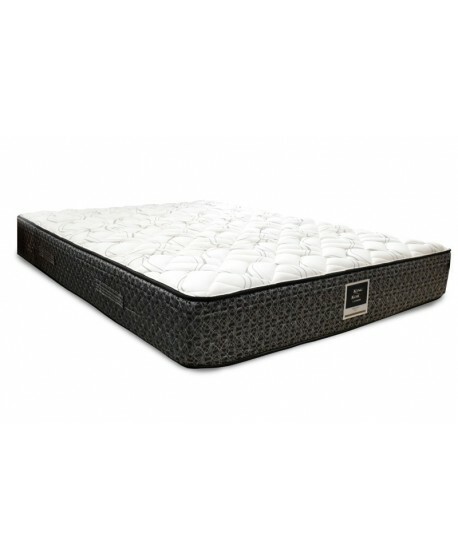 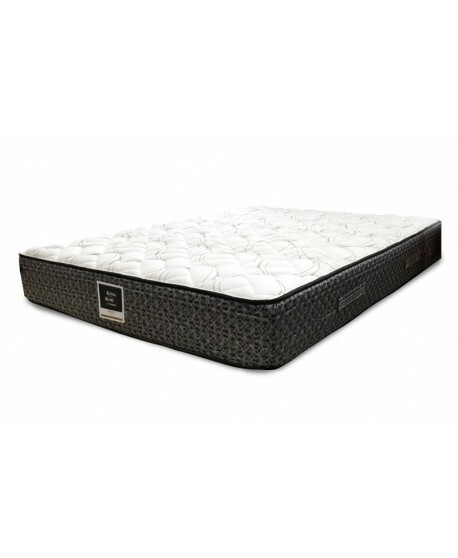 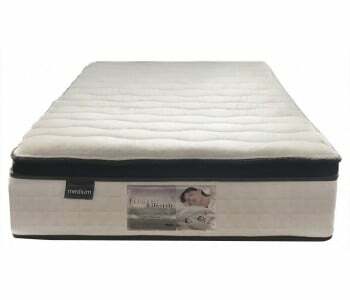 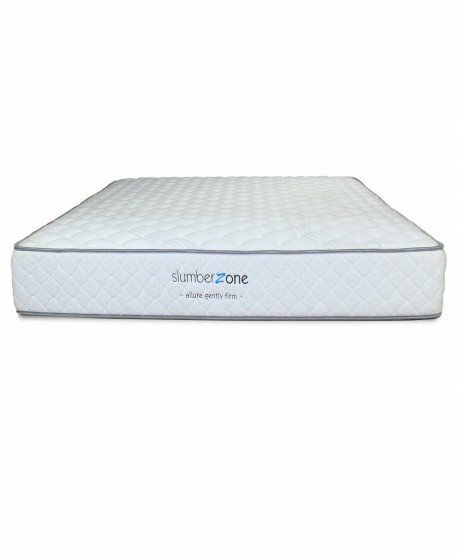 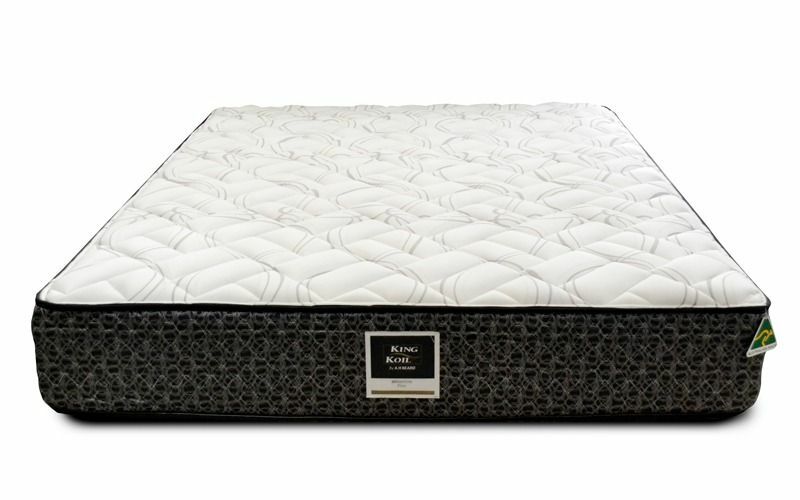 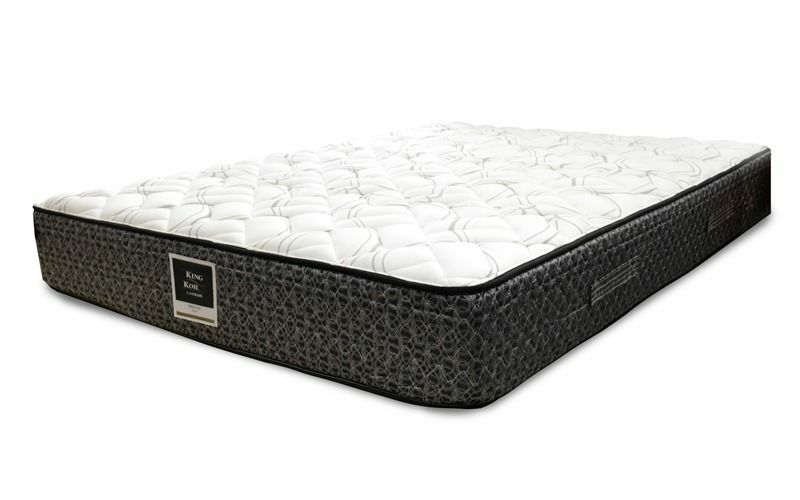 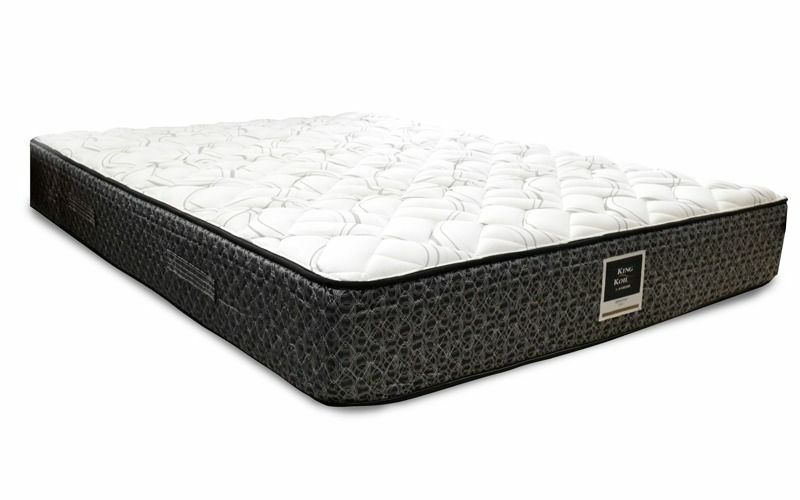 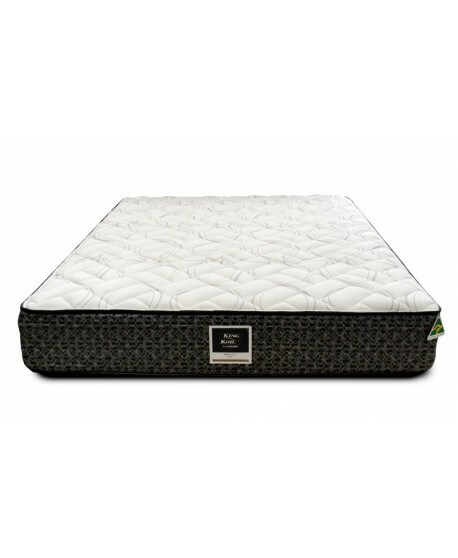 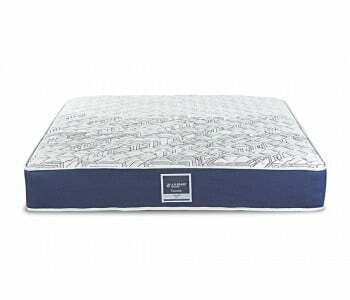 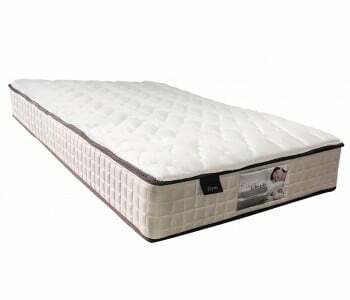 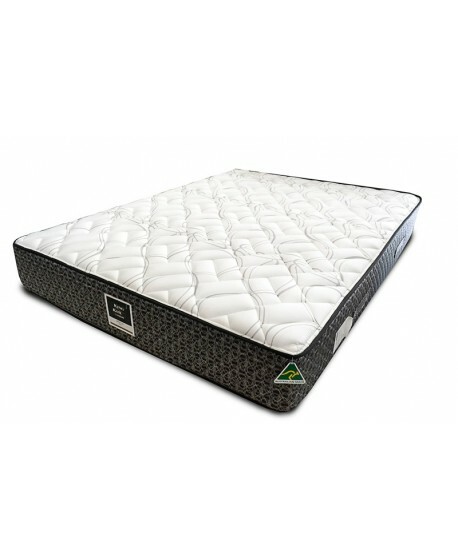 The King Koil Brighton Firm Mattress delivers a unique support system that relieves built – up pressure in the body and provides maximum spinal support. 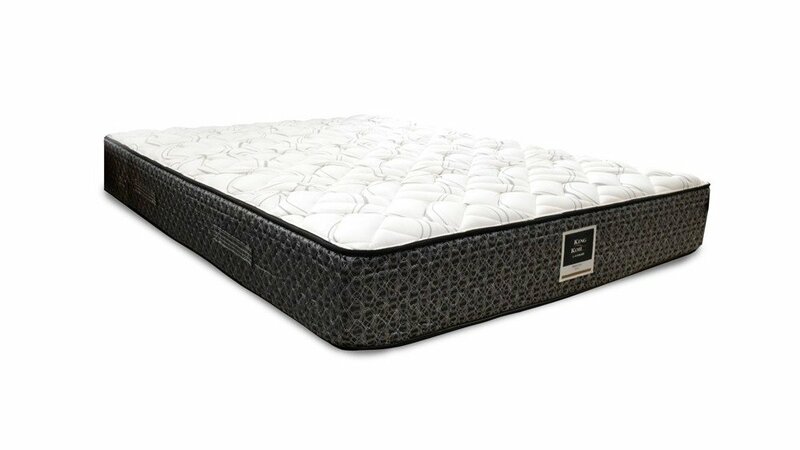 Reflex coil advance responds to your shape and size and Performa edge offers edge to edge support, resulting in a larger sleep surface and preventing border breakdown. 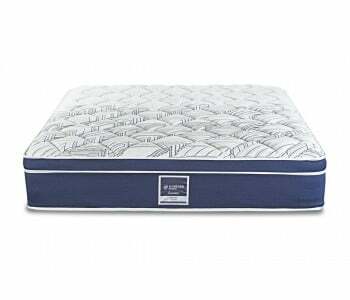 A partner can be a big obstacle to a good night’s rest, the King Koil Brighton Firm Mattresses individually wrapped coils respond individually to pressure, absorbing movement and preventing motion transfer across the mattress surface so you can get an undisturbed sleep every night of the year.